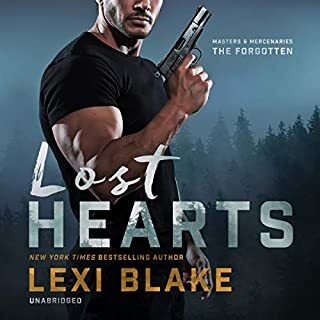 Dispatched to the Dominican Republic to rescue a kidnapped child, former Navy SEAL Archer “Arrow” Kane makes a startling discovery: another hostage - Morgan Byrd, a very beautiful and very well-known missing person who disappeared off the streets of Atlanta a year ago. She’s brave, resilient, and unbroken. All Arrow wants to know is why she ended up in a shack in Santo Domingo. All he feels is the desire to protect. Morgan is done being the victim and is determined to find out who hates her so much that they want her gone - but not dead. Until then, she has Arrow, an alpha stranger who’s offering a warm and safe place to hide. But as the passion between them flares, so does the fear that whoever took Morgan will do anything to get her back. For Arrow, protecting this woman with a mysterious enemy is the most dangerous mission of his life. And it’s worth every beat of his heart. 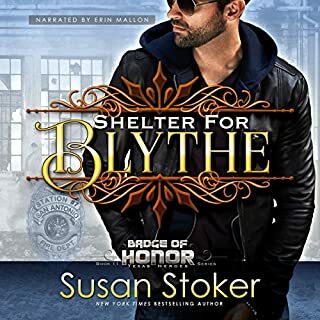 ©2019 Susan Stoker (P)2018 Brilliance Publishing, Inc., all rights reserved. I loved Arrow and Morgan and all the Mountain Mercenaries characters. I can’t wait for the next book in this series. I would recommend all of Susan Stoker’s books. This story feels anything but unique. This series is pretty much the same story with character name changes being the only difference. I have been waiting for Morgans story since I listened to Defending Chloe a few months ago, that ending completely hooked me when they stumbled upon her! The entire series is about the Mountain Mercenaries, a group of men who rescue women and children that have been abducted. The Mountain Mercenaries are sent to the Dominican Republic to rescue a little girl who was kidnapped by her father. When recovering the child they found Morgan, who was kidnapped over a year ago from Atlanta. Morgans kidnapping was not random and the Mountain Mercenaries work to figure out who was behind it and why. 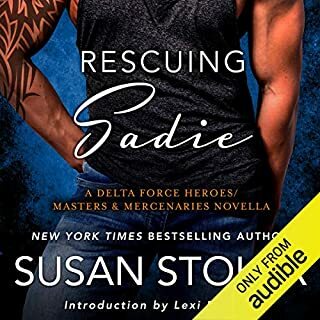 Each of the books in this series has ‘insta-love’ happening between one of the team members and the woman they are rescuing. I always tend to overlook the romances where the couple falls in love in 5 minutes, but I did really enjoy the story in this one. It was a guessing game until the end on who was behind Morgans abduction and torture, and it definitely kept me interested! Stella Bloom did a great job with the narration! 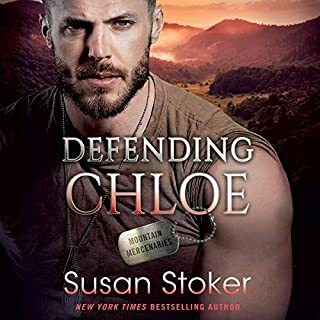 Wow I absolutely loved Defending Morgan by the ever so talented author Susan Stoker. This was definitely a story that kept me hooked and on the edge of my seat. Stella Bloom was fantastic she was able to capture the characters perfectly, I absolutely loved listening to Stella she just has a way with her reading of making you able to see the different characters. I recommend this great audiobook this is one story you won’t want to miss. This is number three in the series and I think for me it’s my favorite. Love this author and narration! Perfect blend of romance and action. I don't know how Stoker is such a prolific writer and stays so talented. She does not sacrifice the story for the speed at which she writes. Lucky for us! I liked Arrow and Morgan and always enjoy Stella Bloom's narration. The cover for the next in the series- Defending Harlow is smokin' so looking forward to that one. Great balance of romance and suspense! This particular series, by this author, is by far one of my fave romantic suspense, and this book is the best. The rescue of an American woman, who had been missing for a year, from the Dominican Republic was gripping. The Mountain Mercenaries then work to discover who was responsible for her abduction...the suspense was killing me...lol. The reveal of the mastermind was mind boggling! Definitely did not see that coming. Narration was on point and did a fantastic job of ‘separating’ the characters. Worth the read/listen. This series is just OK. I can't really get into it like I could the others. I will continue to listen because I enjoy this author. I dont really know why I am not particularly fond of this series, but I do catch myself thinking the term what a dummy an awful lot. I feel that the intelligence of the heroes and heroines is questionable. When the Mountain Mercenaries head to the Dominican Republic to rescuer a little girl who’d been kidnapped, they unexpectedly find a missing woman who they recognized from the news. She’d been missing for a year, and when they rescue the child they rescue her as well. After some danger in leaving the country, they return to the States, but Arrow is falling for the woman. Even after they are back in the US, she’s still not safe as they don’t know who paid to have her taken. When sudden events start happening, they are racing to figure out who hated her enough to have her kidnapped. Narration is well done!